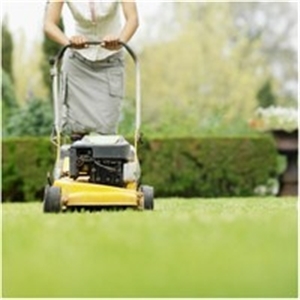 This is the largest and fastest growing landscape maintenance franchise company in the green industry today. Through a network of operator-owned branches located strategically throughout the United States, they provides commercial customers with a full range of personalized, professional landscape maintenance services. The benefits and privileges of owning a franchise include on-site startup training,National accounts, horticultural and agronomic training and ongoing support, sales training, corporate-sponsored purchasing support, ongoing sales, operations, and administrative support, exclusive lead generation and sales appointments by our in-house telemarketing department, exclusive customer service program, proprietary estimating system, complete operations manual and foreman's manual, marketing materials, a computer with customized software package, protected territory, declining royalty structure, and low franchise/royalty fees. Minimum net worth required of $85,000. Serious investors only please. No students or brokers. Please reply with your: Full Name Mailing Address Phone number Email Address We will respond immediately to your request. Support/Training: Training includes Five Days at Corporate Office / Five Days in the Field. Includes on-site startup training, horticultural and agronomic training, as well as sales training. Market Information and Position: This national chain provides a strong brand, trained staff, call center support and reliability to an industry dominated by small unreliable independent businesses. National accounts provided by the franchise and more being added. Lots of room for growth by adding staff or territory.